Many of the anaemias seen in clinical practice occur in patients with systemic disorders and are the result of a number of contributing factors. The anaemia of chronic disorders (ACD) is of central importance and occurs in patients with a variety of chronic inflammatory and malignant diseases . Usually, both the erythrocyte sedimentation rate (ESR) and C‐reactive protein (CRP) are raised. 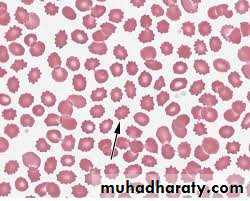 It may be complicated by additional haematological changes due to the disease. an inadequate erythropoietin response to anaemia caused by the effects of cytokines such as IL‐1 and tumour necrosis factor (TNF) on erythropoiesis. 1. Normochromic, normocytic or mildly hypochromic (MCV rarely <75 fL) indices and red cell morphology. 2. Mild and non‐progressive anaemia (haemoglobin rarely <90 g/L) – the severity being related to the severity of the disease. 3. Both the serum iron and TIBC are reduced. 4. 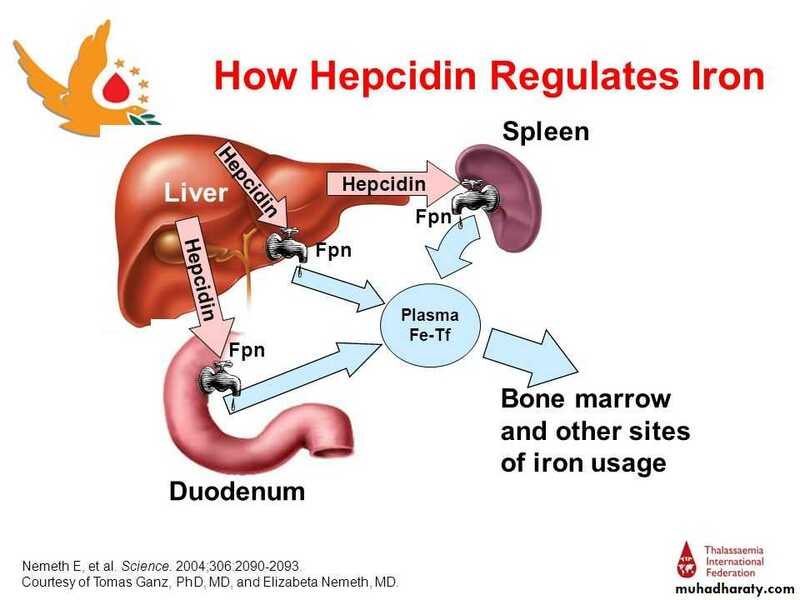 The serum ferritin is normal or raised. 5. Bone marrow storage (reticuloendothelial) iron is normal but erythroblast iron is reduced. • MCV/ MCH :Normal or mild reduction . • Serum iron : Reduced . • TIBC : Reduced . 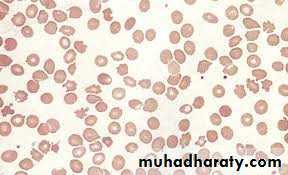 • Serum ferritin : Normal or raised . • Bone marrow iron stores : present. • Erythroblast iron : Absent . • Haemoglobin electrophoresis : normal. 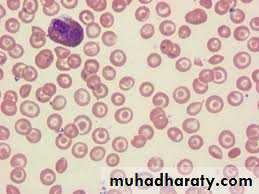 Peripheral blood film in chronic renal failure showing red cell acanthocytosis and numerous ‘burr’ cells. The inflammatory response to tissue injury includes changes in plasma concentrations of proteins known as acute phase proteins. These include fibrinogen, other clotting factors, complement components, CRP, haptoglobin, serum amyloid A (SAA) protein, ferritin and others. The acute phase response is mediated by cytokines (e.g. IL‐1and TNF) released from macrophages and other cells. Quantitative measurements of acute phase proteins are valuable indicators of the presence and extent of inflammation and of its response to treatment. When short‐term (less than 24 hours) changes in the inflammatory response are expected, CRP is the test of choice . Long‐term changes in the acute phase proteins are monitored by either the ESR or plasma viscosity. These tests are influenced by plasma proteins, which are either slowly responding acute phase reactants (e.g. fibrinogen) or are not acute phase proteins (e.g. immunoglobulins).